18 months ago, I was living in Australia, a freelance food and wine writer for magazines, websites and companies. It was awesome and I loved it. But then I moved to Vientiane, Laos. A new city, a new country, and zero career contacts. Moving to a new country brings lots of opportunities but it's also a bit scary for a freelancer who relies on contacts, self-promotion and sometimes sheer determination to build a reliable business. But I hit the ground running. Even more so than I thought I would. Why? Because for the 3 months prior to my move, I was in serious planning and reinvention mode. You can never do too much of it. Ask yourself the big questions - what do I want to do? Who do I want to work with? What do I want to achieve? Where do I want to be in 6, 12, 24 months from now. It's all that big picture stuff that can take a while to knuckle out. My work planning - and blog post planning too - comes when I'm lying awake at night. I don't recommend it but it works for me. Then I write it out the next day. I was writing about Australian food producers for Australian publications. How would I do that from Laos? So, I started thinking... maybe I could write about Lao food, Asian food, Lao agriculture or Australian-Lao food related projects. If there were an Australian angle to them I could still pitch to Australian publications. Or I could write about Laos from a food travel perspective - for Australian or Asian travel mags. Everyone loves to eat and travel. I decided to start a Laos food blog, with the long term plan of leveraging my status as a freelance food writer in the region. Plus, I love plain and simple blogging - see something cool, write about it and take a couple of pics. Hit post. It's so easy in a different and colourful country where everything is a new experience. I started planning the design of a new blog in Squarespace. It was so liberating to begin from scratch. I thought about names, categories and an editorial calendar. Would I write recipes, or do restaurant reviews, or track down streetfood? What did I want the design to be like? Would I set up new social media profiles? 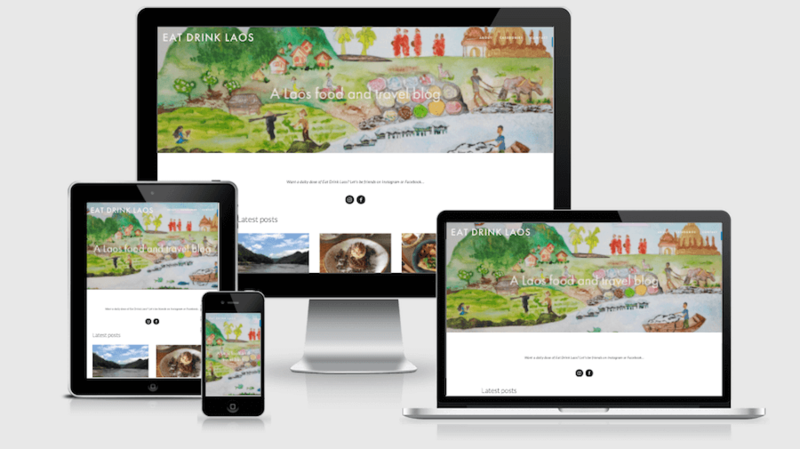 I played around with a few designs, bought the domain name and wrote the first Destination Laos post. It was all ready to go about 2 months before I even arrived in Laos. Result: My food blog Eat Drink Laos gained 1000 followers in less than 6 months. One of the wonderful things about moving somewhere new is that you can restyle yourself and your work. Focus on new and more interesting angles, push yourself in new directions, explore different possibilities. Leave behind the jobs and clients that weren't working out. Pick the aspects of work you enjoy the most and tailor your new freelance writing career around that. Whether it's writing for companies or NGOs or government; writing restaurant menus; designing online content for small companies; or teaching short courses on writing and business, decide on it and sell it. To yourself, your new friends, and everyone you meet. For me, I wanted to refocus on pitching travel articles and target Australian and Asian publications. It's an advantage to be living in the country you're writing about. I've already had several editors comment on that. Result: Within 6 months I had two travel story commissions for DestinAsian and Holidays for Couples; two publications I've long wanted to write for. One of the keys to moving your freelance writing to a new place is to make as seamless a transition as possible. Set up your new business as soon as possible. Update your email signature and get new business cards. Personally, I love Moo business cards. Spruce up your website or online portfolio. You need somewhere to refer new clients to so they can suss out your work and experience. Align your social media accounts. Get a new head shot. Update your blog. And if you are still running your invoices through your home country, as I do in Australia, make sure your tax and financial details are in order. And sign up for Paypal or other online payment system to avoid hefty international bank fees with future invoices. Result: I had new business cards within weeks of arriving in Laos. They're still turning heads, including mine. Like most writers, I lean to the introverted side. I struggle with self promotion and marketing but I've accepted this essential business skill as a freelance writer. It's taken a long time but I now have an elevator pitch. You know, the spiel you give when someone asks "So, what do you do?" Mumbling your way through this isn't an option when you're in the business of making language succinct and personable. I love that irony. Whittle your long list of attributes and marketable skills into 2 short sentences. Practice saying them with confidence. For me, this is "I'm a freelance writer. I write about food and travel for magazines, websites, and companies; and I design websites; and I blog too. Here's my card." Then say it to everyone you meet. A short and descriptive elevator pitch is the best way to sell your skills in a new place where no one knows you. Result: I picked up a major tourism content project for an international organisation within 3 weeks of moving to Laos, via a chance meeting in a café. Think about diversifying and packaging your skills. Pick something you have a love of, or even an interest in, and think about how it can complement your writing. Whether it's photography, writing, coaching or whatever, the more skills you can package, the stronger you are in a new work environment. Mid last year, I decided to package my web and graphic design skills. I had taught myself HTML and web design about 8 years ago and I have been blogging and managing my own websites in Wordpress and Squarespace since then. There seemed no better time than the present to diversify my skill set and strengthen my freelancing capacity. I posted an introductory rate on my Facebook business page, offering to both content and design websites for small, local businesses. I immediately picked up 5 new clients. So, at the same time I was packing up my house, selling the car, organising school holidays, and kid wrangling solo, I started designing websites too. 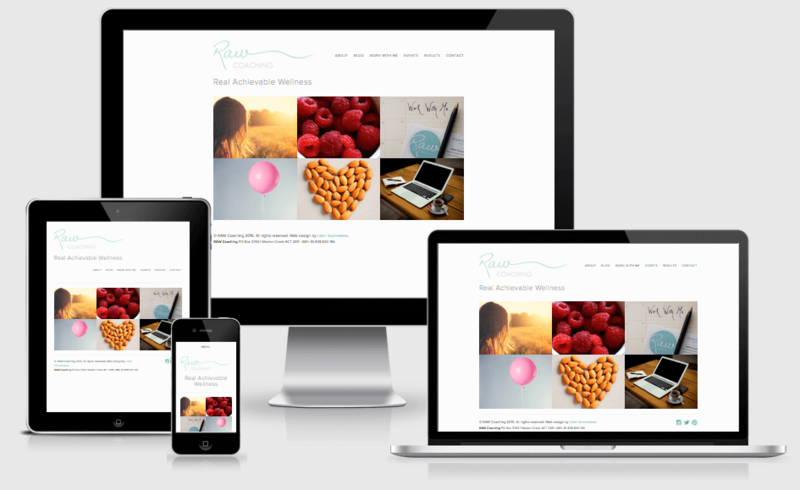 One of my first clients was Raw Coaching (website below), a health and bridal coaching business. Result: I designed and/or edited over 10 small business websites in the first 8 months of repackaging my skills. I'm a believer in being actively open to opportunities. By that I mean, not just writing it on a LinkedIn profile but being prepared to say yes to every opportunity. Being positive about yourself and your career possibilities. And projecting that to the world. It's especially important when trying to kick start a new career or push it in new directions. Particularly when moving to a new place where you don't have existing networks to fall back on. Try it out before you move. When you're already busy and wondering how you'll fit everything in. It doesn't have to be unrealistic if there's a long deadline. It means that I'll be snowed under, I'll be up late when everyone else is sleeping, and I'll leave my kids to devise their own games with packing boxes while I furiously tap at the computer. It means juggling deadlines and being stressed but also feeling this new energy and confidence which I know will attract new clients. Give it a try and I reckon you might be impressed with the results. 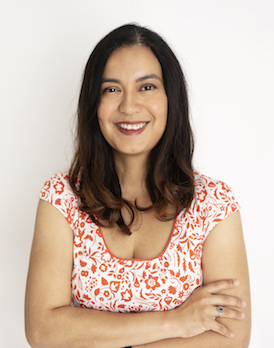 Result: I said yes to a new food content writing project 2 weeks before I left Australia. That gave me 6 months of remote corporate work. Last but not least, don't stress! A successful, self-made career is a very satisfying thing but so is putting your feet up and doing nothing at all. Take the time to remember why you moved in the first place and make the most of your new experience. Have you taken your career overseas? What are your immediate career concerns?